Because we have varying topography from wetland meadows, irrigated fields, hillsides to rocky outcroppings, our grasses vary as well. 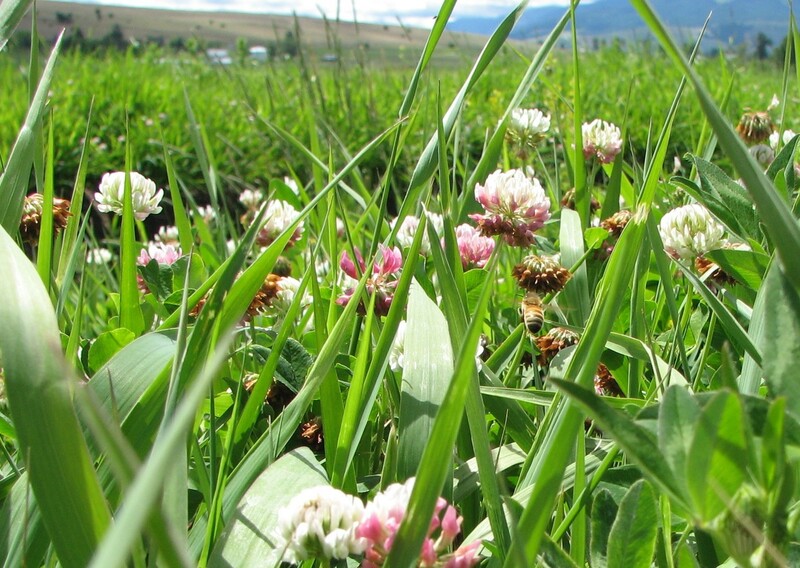 Sedges, rushes, and cattails dominate our wetland meadows, while fescue, orchardgrass, alfalfa, red and white clover, dandelion, timothy, meadow foxtail, blue grass dominate our irrigated pastures. The non-irrigated land consists of native bunchgrasses, smooth brome, great basin wild-rye, sweet clover and other forbes. We have found that variety in grasses and plants creates excellent flavoring in beef and also promotes bio-diversity while creating habitat for our native wildlife. Caring for the land with bio-diversity is a win for the consumer and a win for the environment.